There are new creatures lurking at The Frontier. Sound intimidating? It’s not…these guests were invited. Recently, The Frontier installed honey bee hives in the front of the building, which has caused a lot of curiosity and raised many questions. I myself wasn’t quite sure what to make of it. Why would we bring bees to such a public place? What is their purpose? Is it safe? And so, I set out to find some answers. My first contact was Lisa Jemison, Programs Director at The Research Triangle Foundation. Lisa has a Master’s of Science degree in Wildlife Ecology and Environmental Education from the University of Connecticut, and is passionate about our planet. Lisa told me that bees are responsible for growing most of our food sources (I later found out that bees are responsible for every third bite of food that we take!! They pollinate 80% of our fruits and vegetables.) 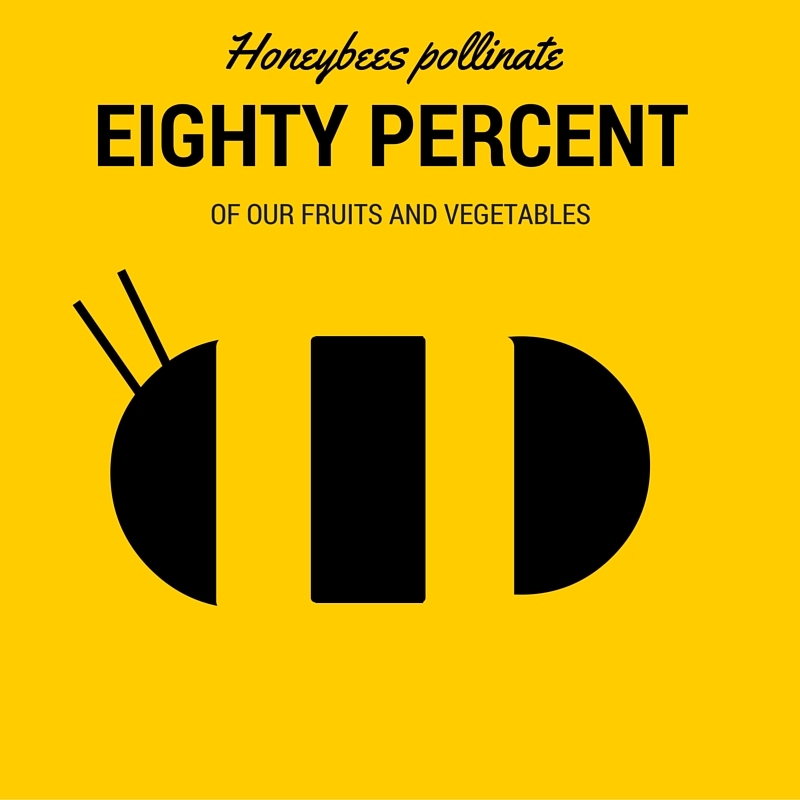 Without bees, it would take a substantial amount of time and money to manually pollinate our food sources. Unfortunately, at least 50 species of bees are currently endangered. But, there are people like Lisa who are not only passionate about saving the honey bees, but also about educating others on this issue. Lisa explained to me that our planet has a number of what are called “ecosystem services.” These are things that the ecosystem does to improve our planet and human health. These systems are natural cycles that occur without prompting. One of these ecosystem services is pollination. Aside from bees, some birds and bats are also pollinators. Although these systems occur naturally, we have to work to preserve the life that functions to perform these tasks for us. This is why bee preservation is so important. Thankful for this new knowledge, I dared to ask the question that everyone wants the answer to: “Don’t bees present danger to the community? They sting!” Lisa knew to expect this question, and dropped some more knowledge on me: honey bees are actually incredibly docile! 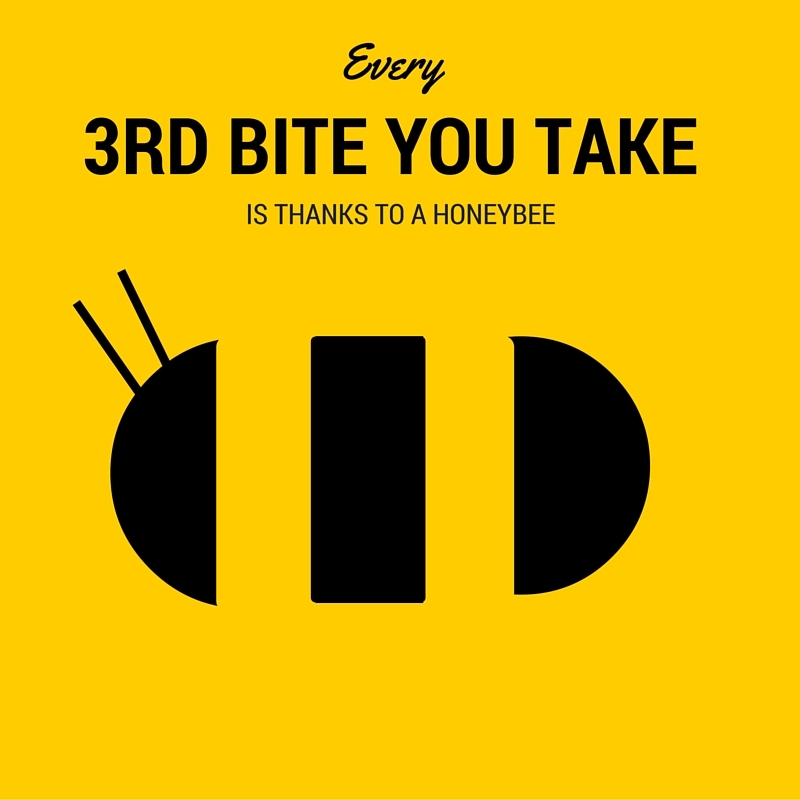 While there are species of bees which are more aggressive, honey bees are not one of them. These bees know that they have a job to do, and dedicate their whole lives to doing it. They know that if they sting, they will die, and so they only use this defense as a last resort. In other words, if you leave them alone, they will leave you alone. Think of them more like flies…they may be a nuisance at times, but they most likely aren’t going to hurt you. Helping to preserve these bees and even grow their population has so many benefits that really outweigh the costs. Lisa directed me to speak with Leigh-Kathryn Bonner, Founder of Bee Downtown. Leigh-Kathryn is a recent graduate of NC State, a 5th generation beekeeper, and a spunky young woman with a passion for the environment. She formed Bee Downtown during her junior year of college, and has been growing the business since. 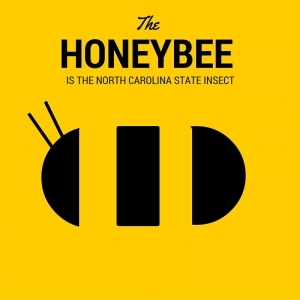 About 6 months ago, Leigh-Kathryn approached The Research Triangle Foundation about installing hives. As a result of her efforts, 5 new bee hives were installed between The Frontier and Research Triangle Foundation Headquarters. The hives are designed to grow, and as they fill with more bees, pollen, nectar, and honey, more layers will be added. Each week a beekeeper from Bee Downtown will check the hives to see if the queen is laying eggs and whether there are enough resources for the bees like pollen, brood, and nectar. The bees are also fed sugar water to help them build honeycomb. Because the hives are new, the bees need to build their comb. 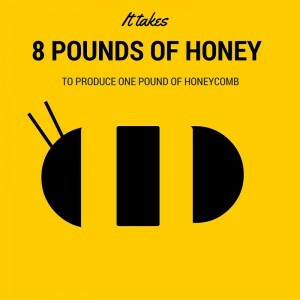 It takes 8 pounds of honey to produce one pound of wax honeycomb. New hives don’t have much honey produced, so the beekeeper supplements it with the sugar water. By next year, the hives should be strong enough to become self-sufficient, and the beekeeper will begin harvesting honey. As wonderful as the programs that Lisa and Leigh-Kathryn are working on are, they can’t thrive without our support. As Leigh-Kathryn points out, “We can put as many hives in cities as we want, but if the community doesn’t support the pollinators, we aren’t doing much good. Rebuilding a healthy honey bee populations is a commitment we as a community have to make to create any lasting change.” Lisa adds that supporting these efforts creates a sense of community by working together, and gives us more of a local connection to our food. Consider the bees when doing your landscaping. Plant native wildflowers to provide nectar for the bees. If you have land, plant wildflower meadows. Reduce the amount of chemicals that you use in your garden. Educate yourself and others. If a friend sees a bee and gets nervous, take a minute to tell them how essential bees are and why they shouldn’t be scared. Talk to your kids about bees. Read up about the ways that they make an impact. Support local beekeepers. To find out how you can get involved with Bee Downtown, click here. On June 22, the Research Triangle Foundation is having a pollinator event! In partnership with the Wildlife Habitat Council and the US Fish and Wildlife Service, this event will feature the dedication of RTP’s new pollinator demonstration garden with speakers, displays, activities, and more! Bee Downtown has a ton of great resources on their website, including educational information and ways you can support their efforts. Did you know that Bayer Crop Science has a bee preservation program? “Feed a Bee” helps educate the public and even provides free wildflower packets! They also have a “Bee Care Center” right here in RTP, where you can see observe the bee hives and take part in workshops and demonstrations. This short video explains more in depth what is causing bees to die off, why it’s a problem, and how we can help. This infographic contains concise information about bees and is easily shareable with friends.